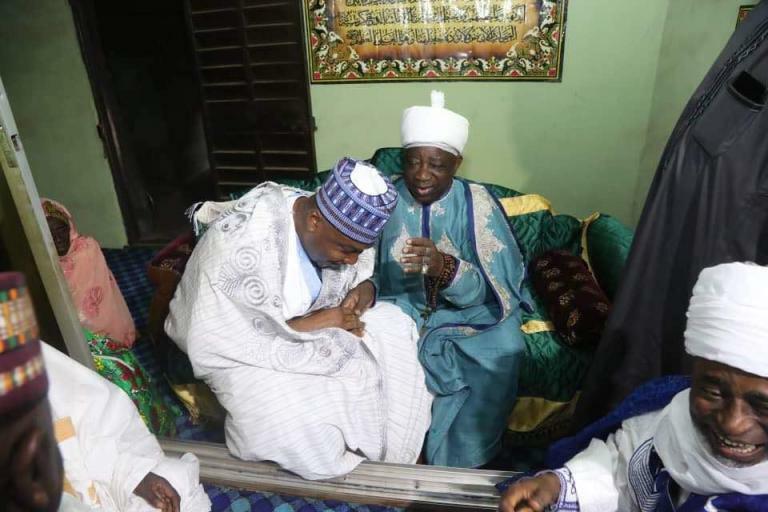 Senate President, Dr Abubakar Bukola Saraki has been been elevated from the title of Turaki of Ilorin to Waziri of Ilorin by the Emir of Ilorin, Alhaji Ibrahim Sulu Gambari. The elevation which came as a surprise package to the Senate President was announced at the end of a special prayer organised by the Emir over the recent victory of Saraki at the Supreme Court on his caseeral government over allegations of false asset declaration. By the elevation, Saraki becomes the fourth Waziri Ngeri, succeeding his father, the late Dr. Olusola, who held the title until his demise in 2012. Announcing the elevation, the Emir said it was in acknowledgement of his passion for the development of not only the emirate but the whole of Kwara as well as his political exploits that have brought fame to the state. Responding to the elevation, an obviously elevated Saraki who was beaming with smiles said the development took him by surprise. He noted that he had only come to the palace for the special prayers not knowing that something else was waiting for him.